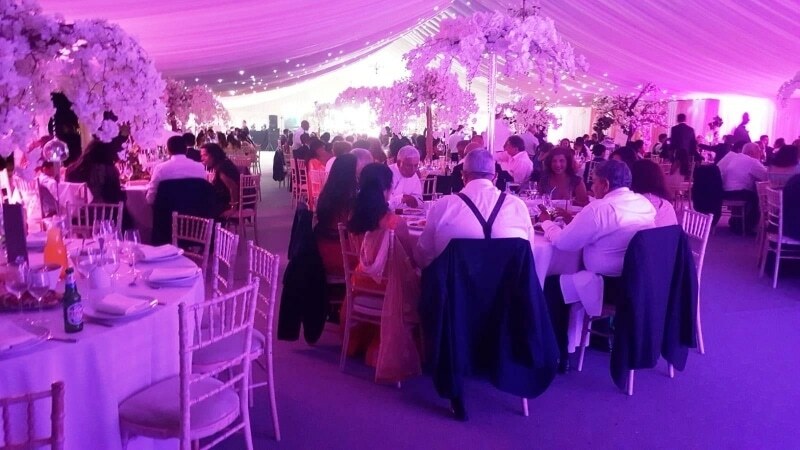 J&L Marquees specialise in Indian Wedding Marquee hire and Stretch tents. Working with brides, grooms, and close family we understand your Marquee needs to look and be perfect in every way. 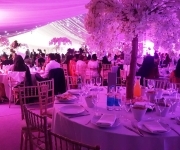 At J&L Marquees, we will always work with you, to make the organising of your day run as smooth as possible. 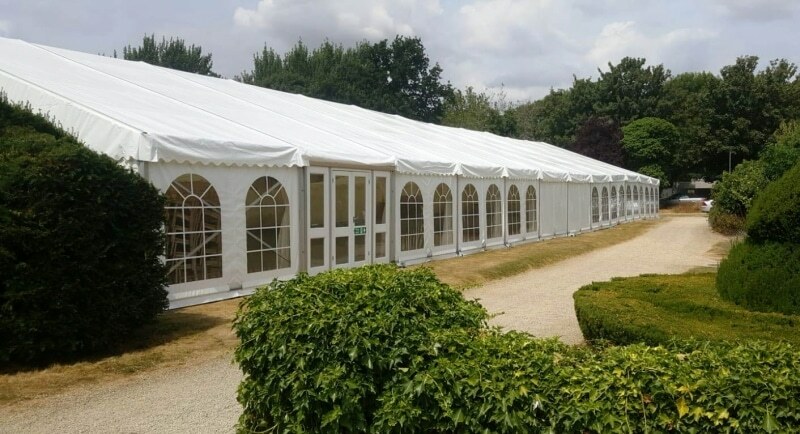 With our marquees you can transform your garden or area you have chosen into the perfect wedding venue. 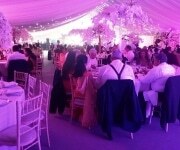 Being a temporary structure gives you a unique feel which you may not get from a hall or fixed venue. You have the flexibility to make the wedding tent into the shape you require. 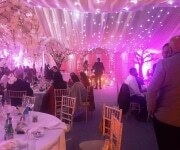 The marquee can be L shape, long, wide etc and incorporate flower beds, trees or features. 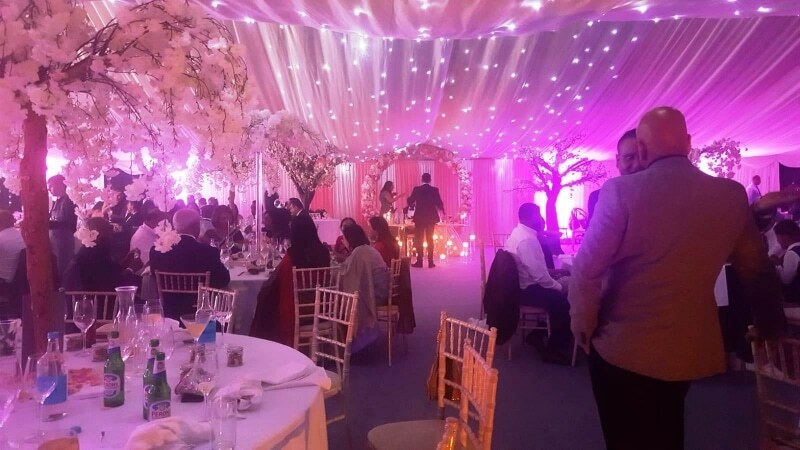 You can really stamp your mark on the event, using colour themes and decorations through from lining and lighting to carpet or table designs and decorations. We will always work with you to help you achieve the finish you are looking for. 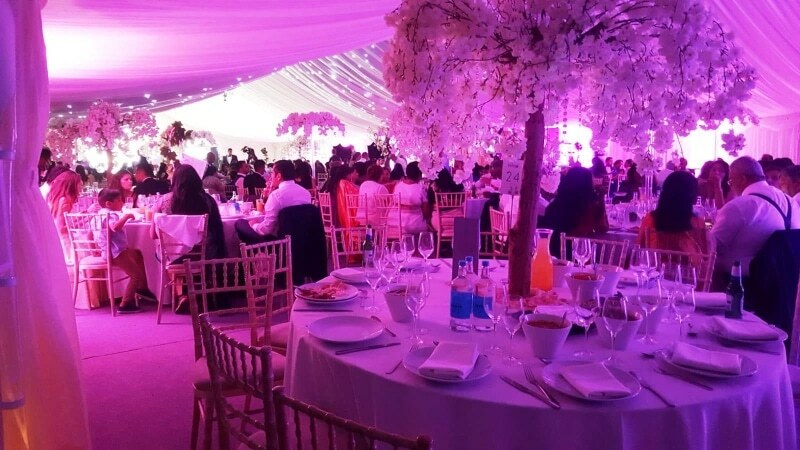 Along with the Wedding Marquee structure we can provide you with, lighting, flooring, interior of all imaginations, luxury toilets, bars, heating and much more. Contact us and talk to Joel to plan your perfect Wedding day. We will talk through all topics needed and ensure you have the correct size and shape to work with, for your layout and proposed numbers. 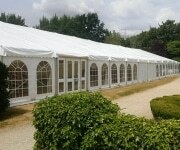 Please contact us for our current Wedding Marquee hire or stretch tent prices.